Before The Beatles’ first UK hit, back in 1962, an 18-year-old English rhythm & blues guitarist joined one of the most dynamic – but, mostly, now forgotten – of all English blues-rock bands. They were the Pirates, the band of the great, late Johnny Kidd. (see previous post). 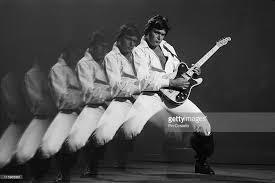 The guitarist was Mick Green, a pioneering musician who played lead and rhythm guitar simultaneously, influencing, amongst others, Led Zeppelin’s Jimmy Page, The Who’s Pete Townsend and Dr. Feelgood’s Wilco Johnson. (See my post of 27 February 2014 on Wilco Johnson and Roger Daltrey’s poignant recent collaboration). In fact, Wilco Johnson, hailed as one of the founding influences upon English punk, said he started off trying to emulate Mick Green. “Of course, I got my own style by getting it wrong,” Wilco said. And what a style Wilco Johnson has: aggressively marching around stage, stabbing and pointing his guitar like a machine gun – spewing out R&B and blues licks and scintillating solos like nobody’s business. And because England’s punks looked up to Wilco and Dr. Feelgood in the pub-rock venues of the 1970s, in turn, the punk movement discovered Mick Green. Wilco’s book. He talks of Green’s influence. “Because of these bleeding students going around talking about how great Eric Clapton was. And I’m going, ‘He’s crap, he’s crap, he’s crap! There’s this one man – Mick Green!’ and they’re going, ‘Oh, Peter Green?’ (Founder of Fleetwood Mac – the 1960s blues band.) ‘NO, not Peter Green, MICK Green’. People didn’t realise and I had to evangelise”. I suppose that’s what I’m doing now, evangelising, just like Wilco Johnson, about Mick Green. However somebody has to, if we’re to keep such an innovative rock guitarist’s name and memory alive. As I said in the previous post, The Who’s vocalist, Roger Daltrey, gave up playing the guitar altogether, after witnessing how amazingly good Mick Green was. Daltrey had been watching Green play with Johnny Kidd and the Pirates in the 1960s. Here’s a clip of ‘Shaking All Over with Mick and the Pirates, at Reading (UK) in 1978. That’s bass player Johnny Spence singing, just in case you’re wondering. who took over vocals after Johnny Kidd’s death in a car crashing 1966.
lost rock & roll classic, a record I was unaware of. 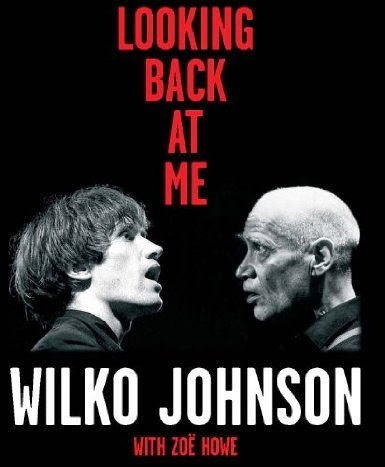 Then I discovered it’s a totally new rock & roll track from Wilco Johnson’s new album with Roger Daltrey, so there you go: he’s still got what it takes. When Mick Green died just before his 66th birthday in January 2010, Wilco Johnson wanted to get Jimmy Page involved with Green’s memorial concert at the 100 Club in London. On meeting, Page told Johnson, “We’re both got the same hero”. This, of course, was Mick Green. So who was this incredible guitarist who inspired some of the greatest guitarists around? Born in Matlock, Derbyshire, in 1944, Mick Green grew up in Wimbledon, London. He started his musical career in 1956 in a skiffle trio, who were runners up to John Lennon’s Quarrymen in a 1950s battle of the bands competition in Tottenham, north London. In 1962, Green joined Johnny Kidd and the Pirates, leaving to join Billy J. Kramer and the Dakotas two years later. A spell with Cliff Bennett followed, as did writing four songs with Alan Lancaster for Status Quo, and supporting Quo on tour with his own band. the 2000s. Indeed, as mentioned, the Pirates’ aggressive rock & roll made them a bit of a cult band with the punk generation during the 1970s. The Pirates thigh-high pirate boots are said to have inspired the aspiring Adam Ant, then a punk, into wearing similar outfits when the new romantic scene started up a few years later. Here’s another clip of Mick Green with the Pirates, this time on German TV in 1979. They’re playing the old Chuck Berry classic, ‘Johnny Be Good’. But while Mick Green remained unknown to a large percentage of the music-listening public, especially outside Britain, those in the know knew exactly what Green was all about. When I say, those in the know, I mean some of the most famous international rock icons around. Paul McCartney rated Green highly and played with him often, including having Green in his band in 1999 when Macca returned to Liverpool’s (replica) Cavern Club to promote his ‘Run Devil Run’ album. Here’s Mick Green appearing on UK TV with Paul McCartney on bass playing Honey Hush. Also in the supergroup (to use that ancient term) is Deep Purple’s Ian Paice on drums and Pink Floyd’s David Gilmore on rhythm guitar. The fact that Mick’s playing lead with Gilmore in the band tells you all you need to know. Motorhead’s Lemmy Kilmister, also being a great Johnny Kidd and the Pirates fan, teamed up with Mick Green on a charity side-project in 1990 under the name Lemmy & the Upsetters, recording ‘Blue Suede Shoes’. 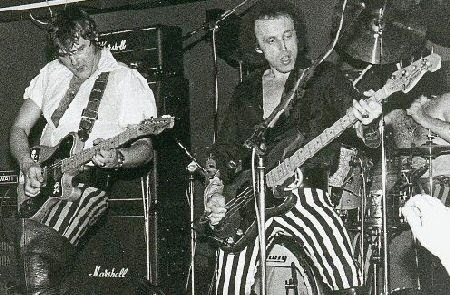 Green and Lemmy wrote the flipside ‘Paradise’. Mick Green was also a long-term regular in Bryan Ferry’s band. Here’s a quote from Ferry’s website. 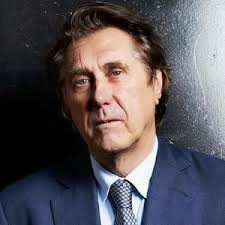 A heart attack while playing with Bryan Ferry on stage in New Zealand in 2004 was, perhaps, a warning of things to come, but Mick carried on playing regardless. From 1999 to 2008, Mick Green toured with Van Morrison, contributing to many, if not all, of Van’s albums during that decade. Mick Green’s sons summed it up best, soon after he died. “Heaven will be louder,” they said. “Hi Paul, I have just read your article on my late husband, Mick Green. It was a wonderful tribute and I am deeply touched. Thank you so much. Kind regards, Karen Green.” UK. 25 May 2014. “Mick Green for all his great talent was modest, understated and totally self effacing.” The Triumphs (@RealTheTriumphs), UK. 25 May 2014.
and Mick just imitated most of Joe Moretti (Taylor)’s parts – cf: “Shakin’ All Over” – ALL Moretti. Better fills (“lead”) than the later Green’s, too, IMO. Very interesting info, Rod. Many thanks for the feedback. I always like to learn about great electric guitarists from the past. I’d better write a new post now about Joe Moretti being yet another great now mostly forgotten. Anything you know about Joe that I won’t find on the net would be most welcome. Watch this pages for a new Joe Moretti post.